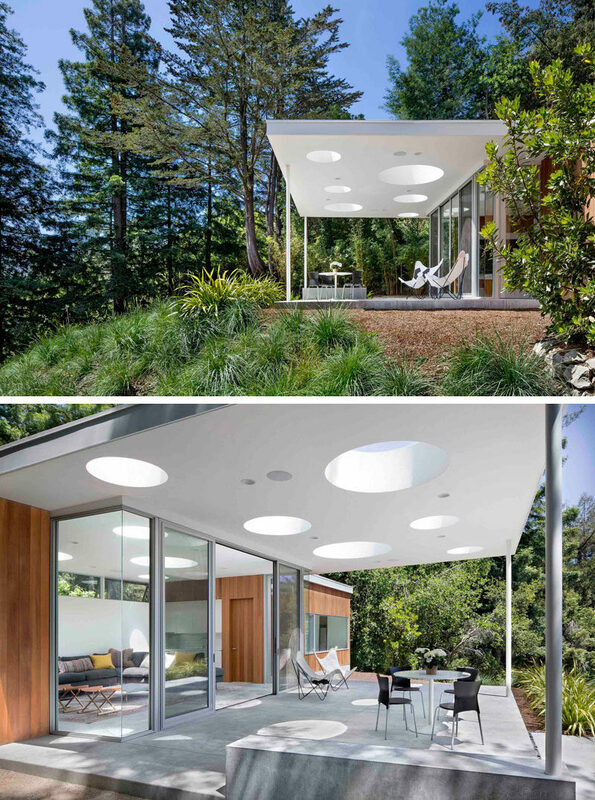 Turnbull Griffin Haesloop Architects have designed this small 640 square foot guesthouse that sits on an existing level clearing at the top of a steep sloping site in Mill Valley, California. 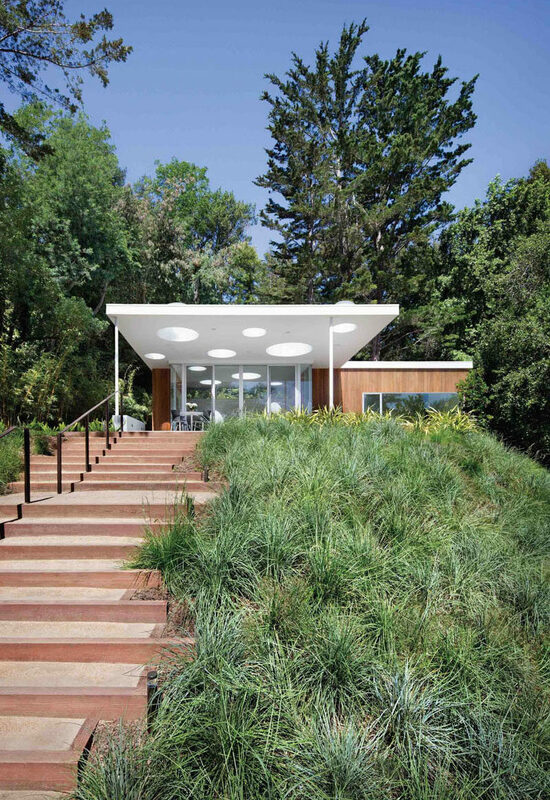 The guesthouse, which has been designed to be used for multiple generations and is set up so that it can be a guest room for visiting friends and family, a media room or a hangout area for teenage children. As the guesthouse is on a steep slope, stairs have been added to make climbing up to it a little easier. Once you reach the guesthouse you are presented with a covered outdoor porch. 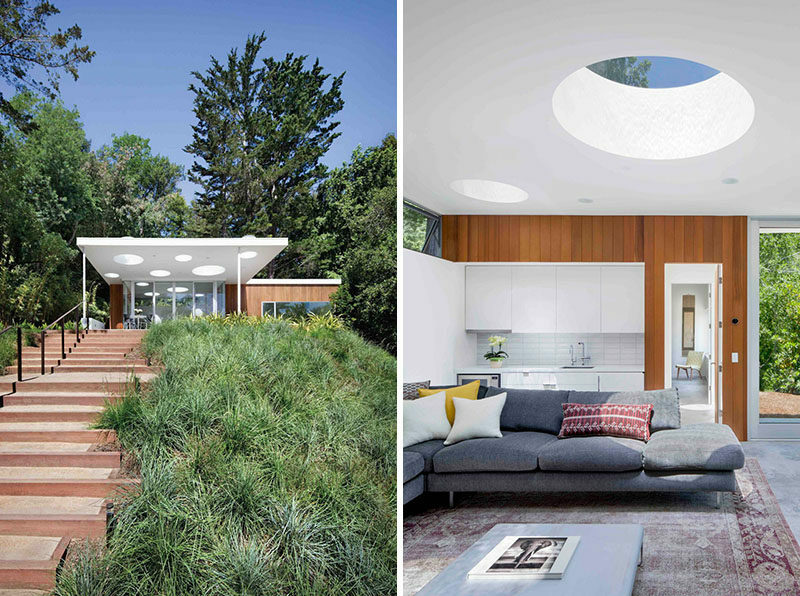 The flat roof of the guesthouse has different sized circle skylights, that provide a playful pattern when viewed from the main house below. 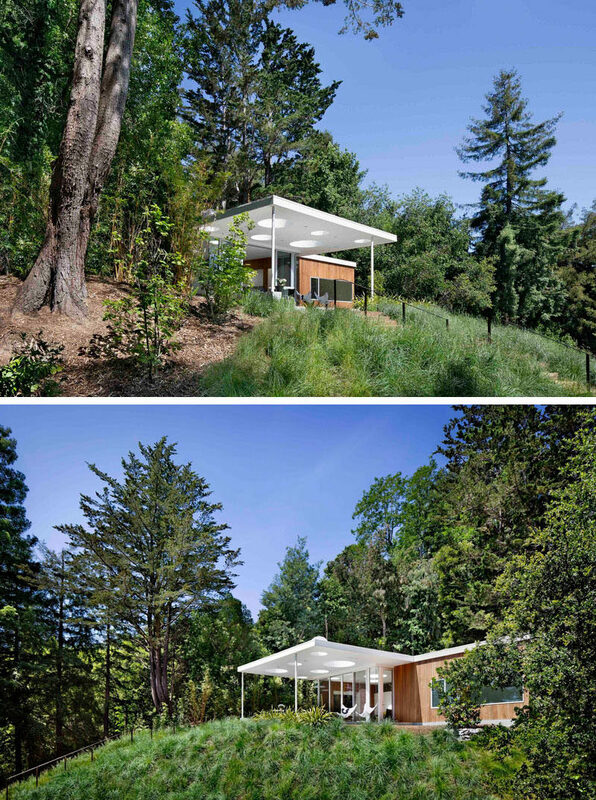 Wood siding has been used on both the exterior and interior of the guesthouse, allowing it to blend in with the trees and add a sense of warm to the living room and kitchen. A large L-shaped couch provides plenty of seating and acts as a sort of divider between the living space and the small kitchen. The kitchen, with white cabinets and white tile backsplash is simple and modern in its design. Behind the kitchen is the bathroom. 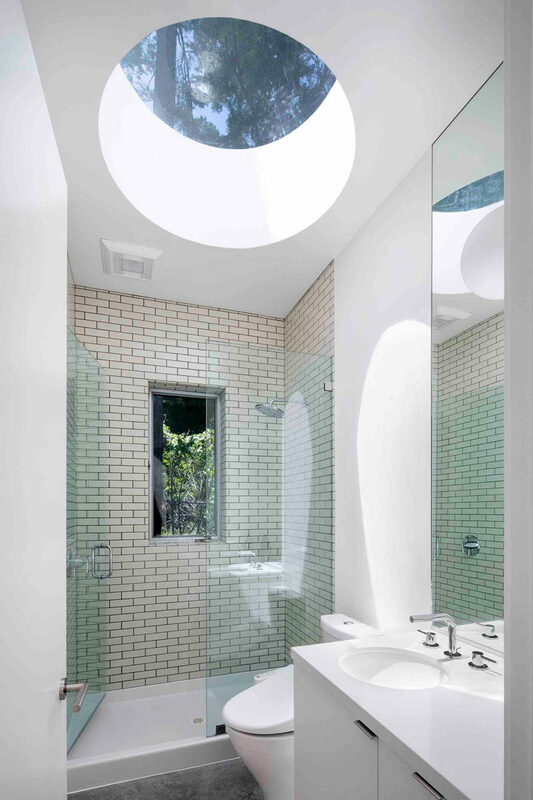 A large circular skylight adds a lot of natural sunlight to the space, while the white walls and white vanity have been paired with a cream-colored rectangular tile to help reflect the light. A glass shower door keeps the rest of the room dry, and a small window lets you look out into the trees as you are showering. Next to the bathroom is the bedroom. A large window provides views and natural light to the room, and a built-in open closet is a great space for guests to hang their clothes.